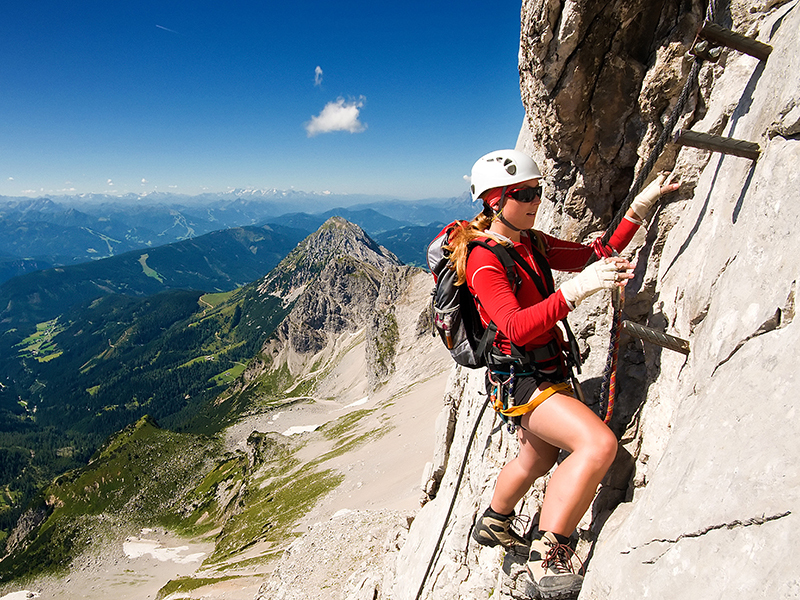 This activity was invented during World War I for the Alpine troops to make their way through the Dolomites range in Italy. Although it has become a worldwide practice, the Italian name is still used. It consists of making your way along a cliff with the help of ladders, cables, bridges and zip lines. This is a very safe and thrilling activity without needing climbing expertise. It is also a good way to get used to heights, and to fight against vertigo. The best ‘ VIAF ‘ spot for beginners of all ages is next to the Lac Rosière, in Courchevel. 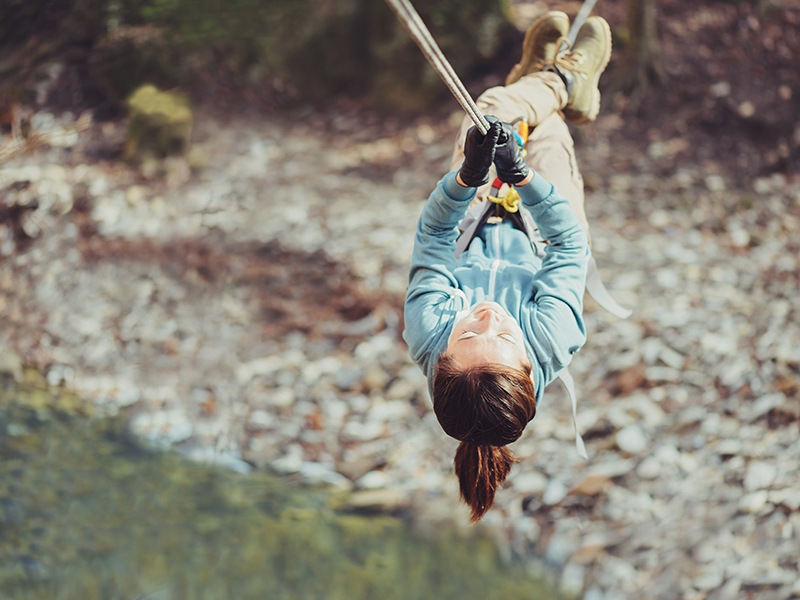 La Fraîche, in Pralognan, is the most thrilling one with its 400-metre-long zip line. 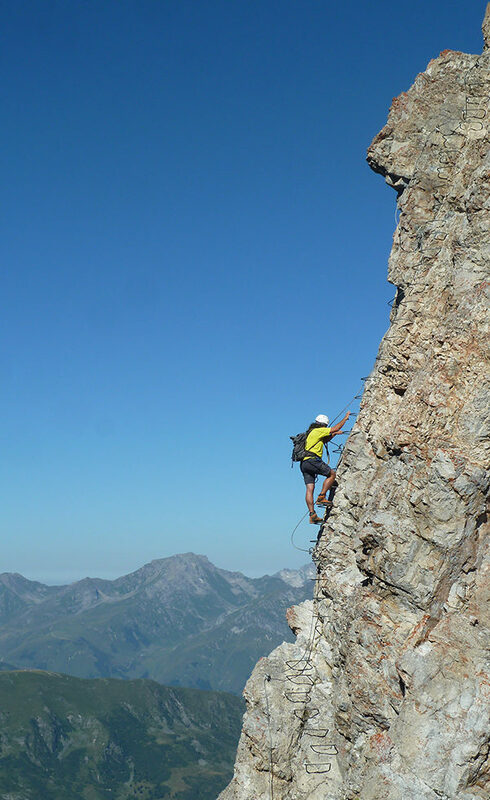 Finally, the beautiful Dent de Burgin via ferrata above Méribel village, is one of the highest in France.